I love trees. They have played such an important role in my life, starting at 5 years old when my new Dad bought a tree that was exactly same height as me so I could watch it grow all through my childhood. 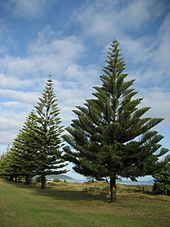 I loved that tree…a Star Pine…and as it grew, I played in its shade, building miniature forts out of natural debris. When it quintupled its size, I climbed up in it to check out the view of the ocean over the top of our house or to just read a book where it was quiet. That tree was my secret hiding place during many childhood dramas (and traumas). I seriously bond with trees. I was lucky enough to have made several trips to the Redwood Forest as a kid, where I met and still remember this one particular tree that I visited several more times in my life. It was not one of the tourist trees…this one was mine. Not that you can actually own a tree……..
A couple of weeks ago, I was sitting at my desk (where I am writing this right now) on a perfectly calm, sunny day. No wind, no rain storm, no earthquakes. Nothing. Perfectly peaceful. I jumped up, ran out the back door, down the deck steps, and stopped short in the driveway as it hit me. What the hell was I going to do? Try to stop the several hundred pound limb from falling further??? As I stood there, visually assessing, that awful cracking sound continued…quieter, but in short staccato bursts. I didn’t know if the whole tree was about to collapse or what! I could see that heavy limb was miraculously being held very slightly up off the Thunderbird by all the smaller branches that already reached the ground surrounding the car…like a purple cage of twigs and leaves. But the continued cracking was a warning. If that branch came the rest of the way down, the Baby Bird might well be crushed. I’m always complaining (mostly playfully) about having to live with six men, but today, I was wishing for even one of them to be available. This felt like a Guy Emergency! I broke two cardinal rules. I interrupted my son Michael at work and James, at band practice!! I just texted them each the above photo. They both came. I don’t know what I thought they could do though. Super James is getting older (finally) and younger, muscle-man Michael was hampered by some newly broken ribs. They were not going to be able to lift that limb either. I also sent out an SOS on our neighborhood group email asking for all available youth and muscle to come to my house ASAP. Several of them came immediately. I love my neighbors!! Still not enough to lift it and besides it was getting really unsafe by now. The most urgent dilemma was getting the Baby Bird out from under that limb in case it finished giving way. The obvious thing to do was to back the car out from under the potentially crushing tree…impossible to open the driver’s door but the passenger door not impossible. Here’s the thing though. James stores the car with its battery disconnected. There was absolutely NO getting that hood up to reconnect the battery. Below you can see him buried in the tree trying to lift it. And even if we got it out, how much more of the tree would fall onto the Taurus, the car hidden nose to nose with the T-Bird?? OK, so tow it out of there, right? And hope the huge limb doesn’t scratch the Baby Bird or crush the Taurus when the Baby stops holding up its weight. Well, towing a 1957 Thunderbird is not easy. Those suckers are heavy!! But James got it out with his 4Runner and miraculously, the smaller branches continued to hold the heavy limb up off the Taurus, gently resting on the ground. The crisis with the cars was mostly averted, only purple streaks across their hoods and roofs. No scratches deep enough really to even damage the paint jobs. Amazing. Look closely at the above photo and you can see a wire pulled down by the limb….uh oh…. I have been after the power company, the cable company and the phone company for years about the placement of their connections to my home, and a few years back the power company did finally come out. Not to change the location of their power pole, but to trim my trees just a bit…to keep their wire safe. But now, to the left of this whole T-Bird vs Tree argument, there is a wire laying on the ground…and it goes all the way across the street to the main power pole for the whole neighborhood. My street is a long dead-end lane and there is rarely traffic on it except, of course, at this exact time of evening. Everyone is arriving home from work. We are all standing around, no one 100% confident they know which kind of wire this is. Finally, one knowledgeable (or just brave) neighbor pulls on the wire hard enough to lift up the slack that had lain on the street. Second crisis temporarily averted. Except for the day and a half of no TV (only hard on the grandsons) and no internet for those adults in our house who work online, we (cars and all) survived the event just fine. If you happen to follow the wonderful Marilyn Armstrong at Serendipity ( https://teepee12.com/ ), you know that she and her family had a horrific ‘nature tragedy” earlier this year, that terrorized her and nearly destroyed their trees. If you are not suseptable to nightmares, you can read about it here. What I am about to tell you in no way compares to what they went through but I bring up Marilyn because I think she might understand my recent loss better than most. Though it is a long and complicated story about why, basically here’s what happened next. I can’t write any more right now. All I can think of is the countless birds associated with those gorgeous trees. Hummer nests. Blue Jays. Flickers. Woodpeckers. Nuthatches. Chickadees. And whole flocks of beautiful House Finches whose colors matched the tree! It’s where the Crows waited each morning for me to feed them. Sometimes the crows would talk to the hummingbirds there. And even the cute but irritating squirrels would steal the crow food and leap off the corner of the deck into the safety of those plum trees. This is my Therapy Room. If you had come to see me, you might have sat on this brown couch, positioned so you could look out that window…at my beautiful Flowering Plum Trees. I guess I will be rearranging furniture soon.